The teenage years are a time when being social is the number one priority for kids. But for kids with Asperger's who have acute social challenges, these years can be the most difficult, confusing time in their lives. Enter J. D. Kraus, a young man who has been there, done that! He offers practical advice to his peers, so they can get the most out of middle school and high school, both academically and socially. From sensory sensitivity to awkwardness, dating to driving, he tackles it all! 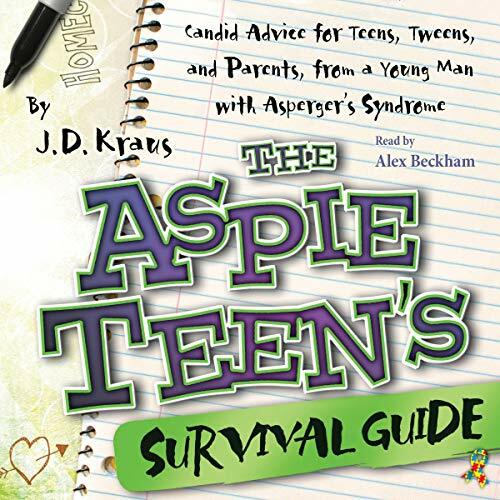 Parents and teachers will love seeing life through J. D.'s eyes, plus "Notes to Parents" sections offer great advice for caregivers and educators alike.